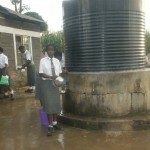 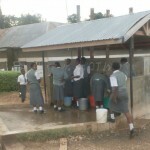 The Mukumu Girls School near Kakamega, Kenya has been struggling to find a reliable source of clean, safe water for some time. 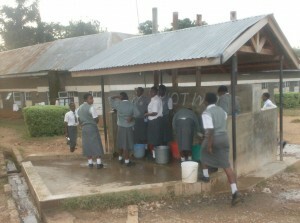 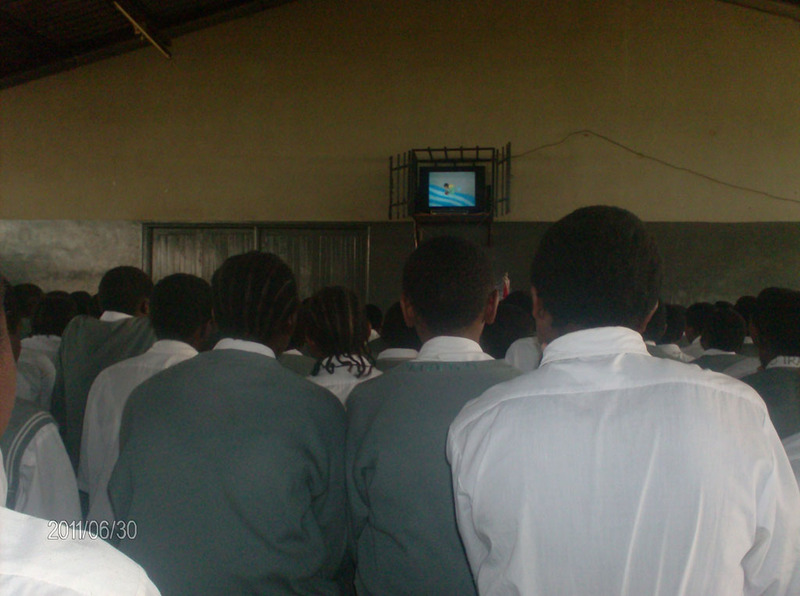 This very large school serves 1,200 students and over 120 staff. 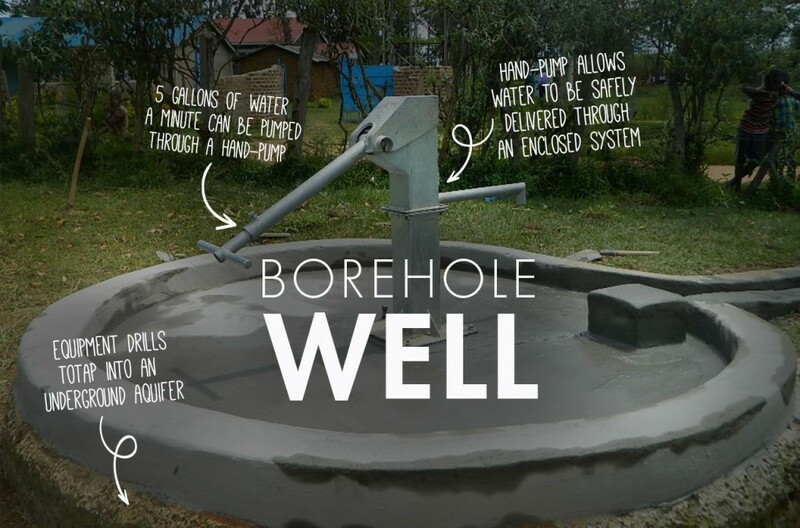 Finding enough water for everyone has proven very difficult and expensive, taking away both valuable time and resources. 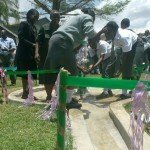 Currently the school finds water from a spring nearby that is seasonal. 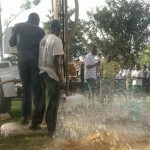 It dries out during the year. 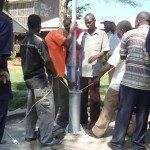 They pump this water, when available, to a holding tank that is connected to taps (seen below). 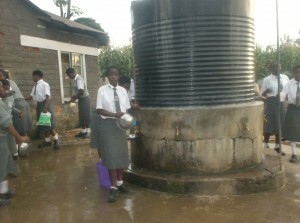 When the water runs out, they collect water from the roof tops when it rains. 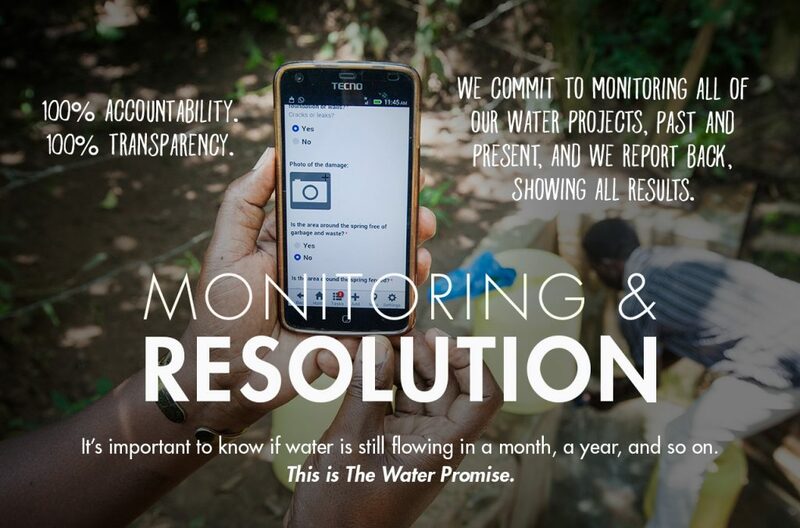 It is often not enough. 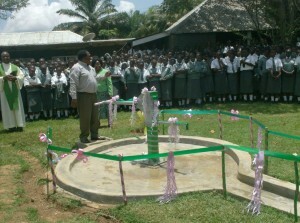 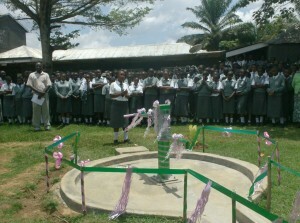 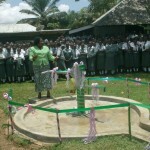 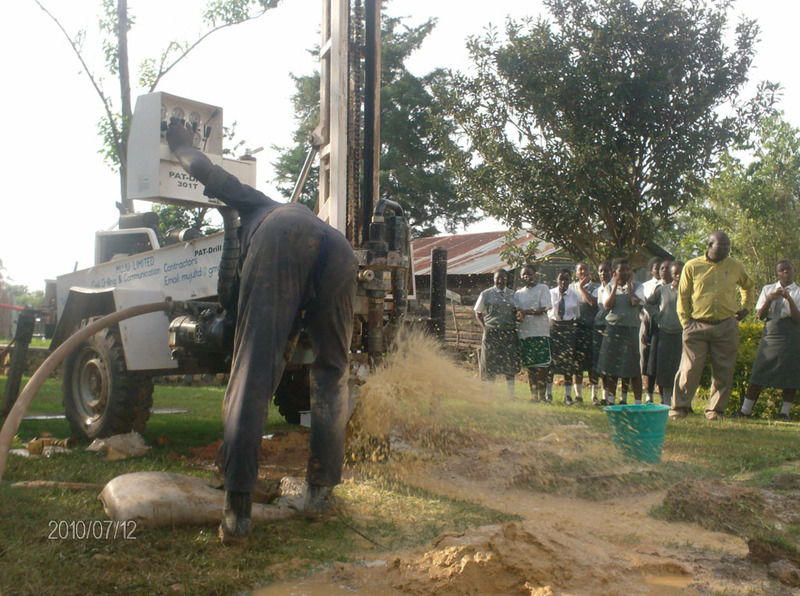 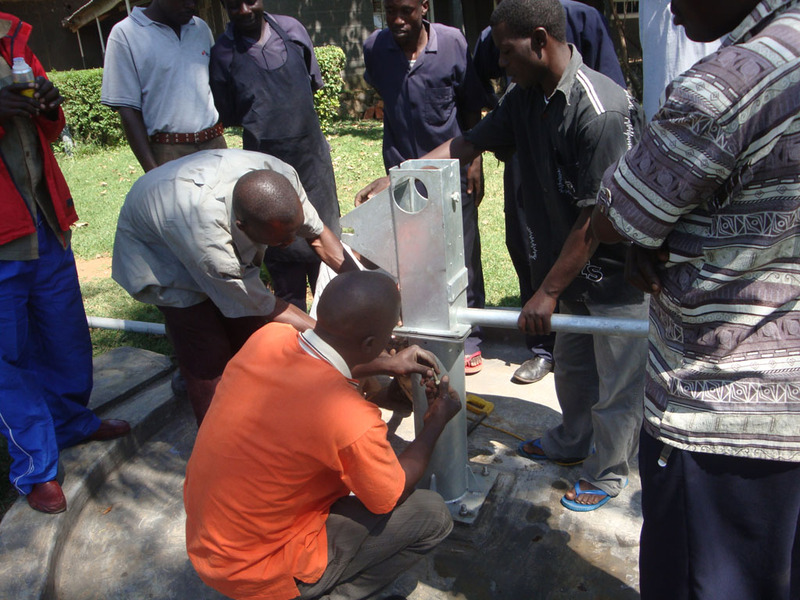 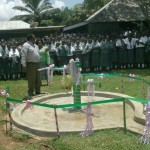 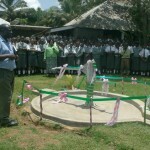 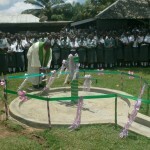 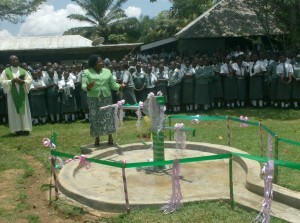 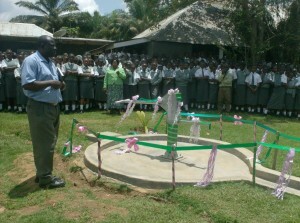 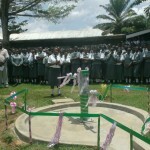 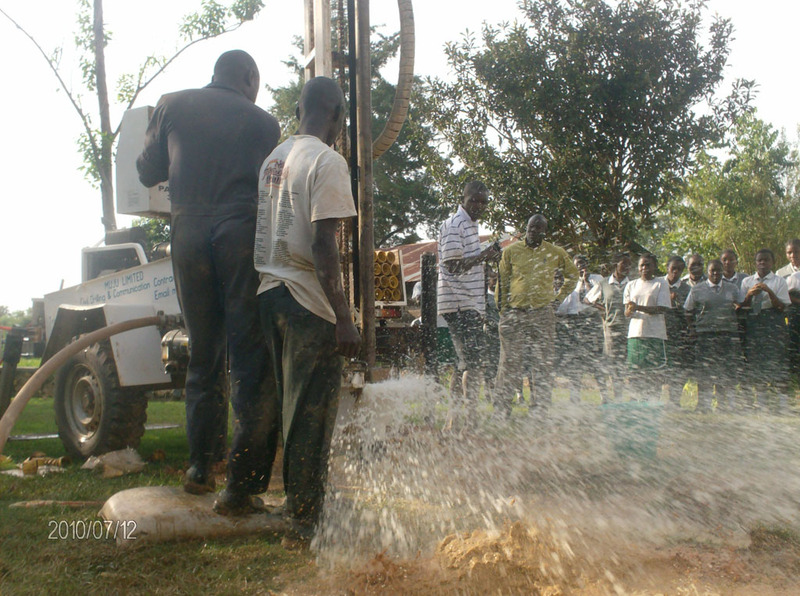 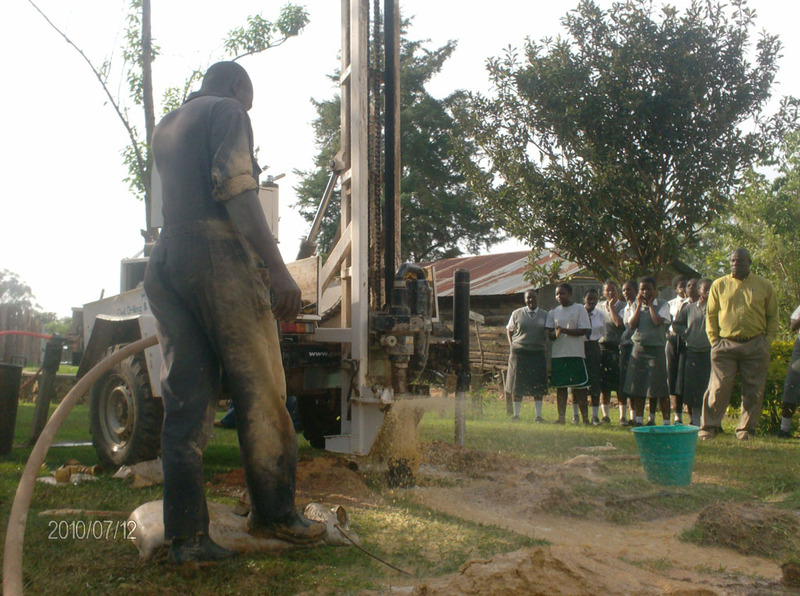 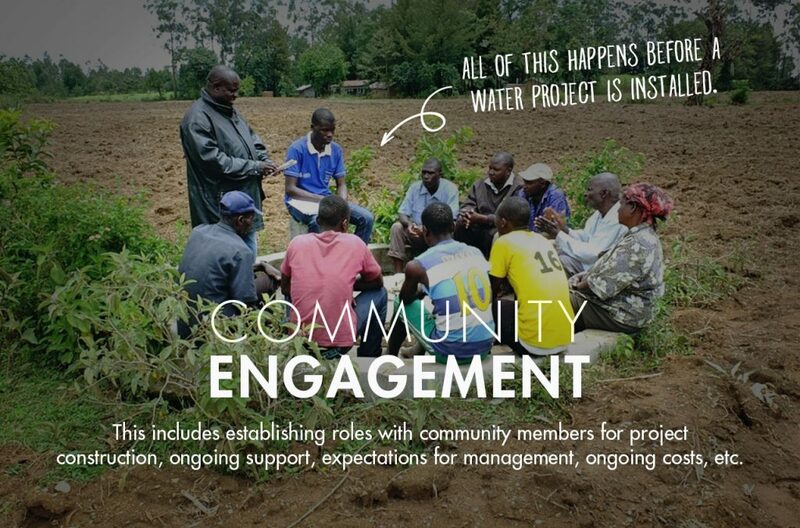 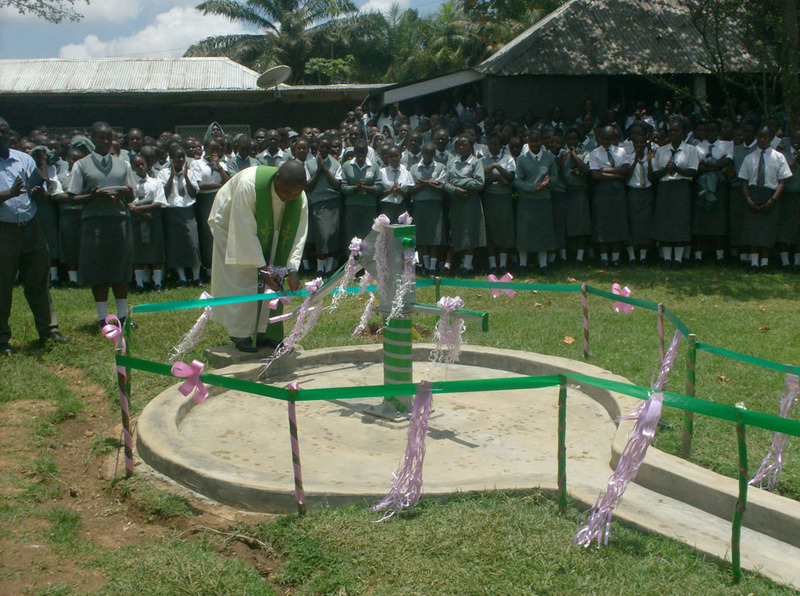 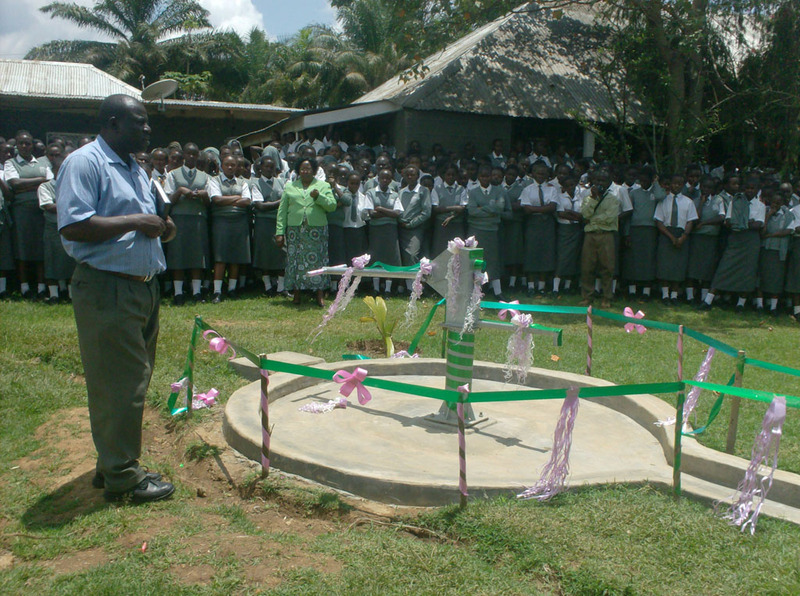 A new well should finally provide an adequate source of water for this entire school. 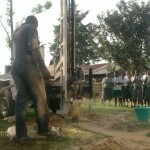 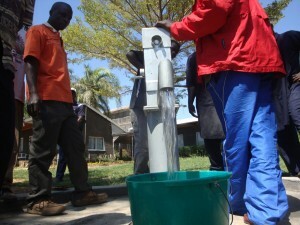 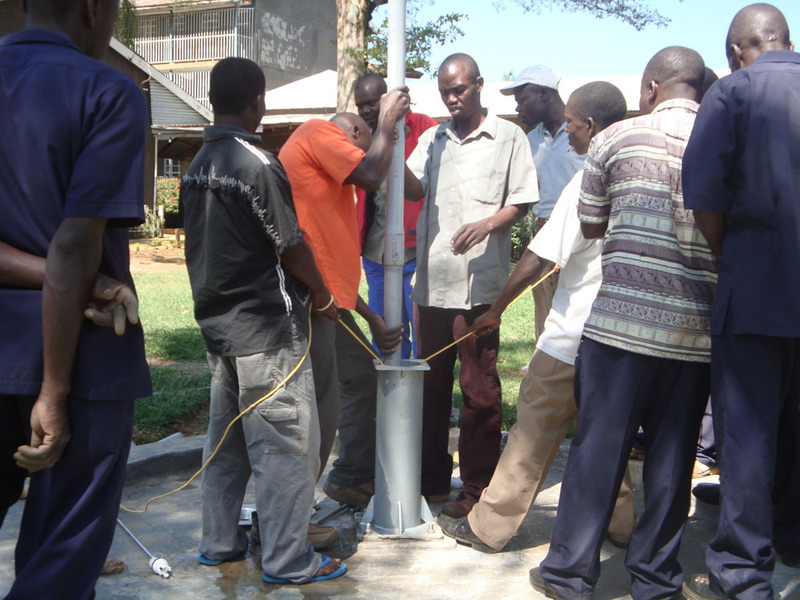 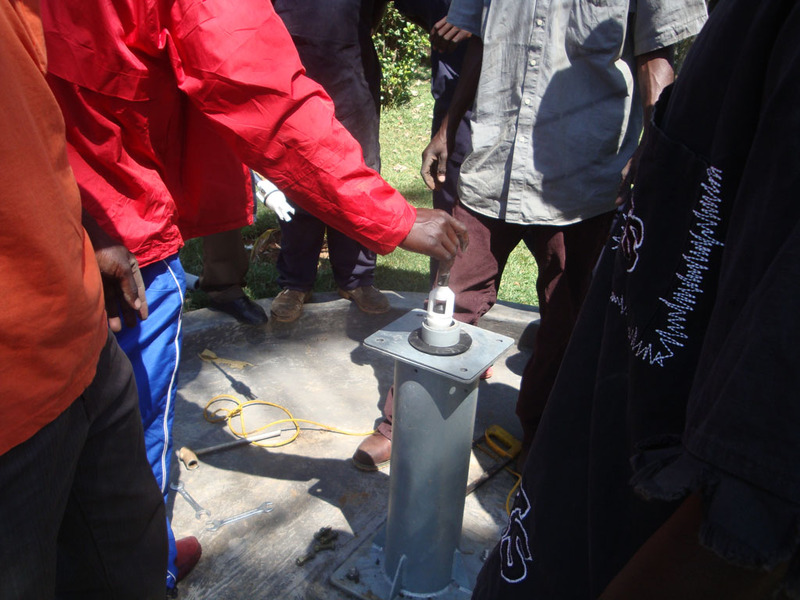 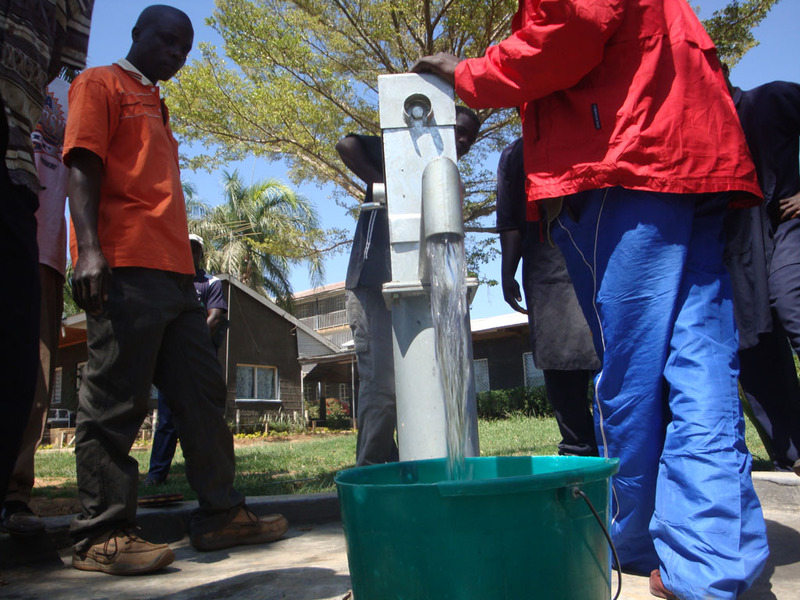 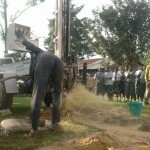 The money saved from steep electric bills, currently paid to pump water from the seasonal spring, will be re-invested into the school and will pay to maintain this new well far into the future. 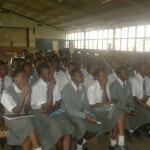 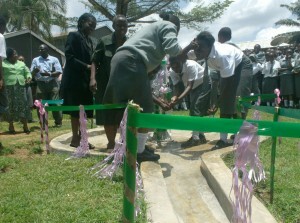 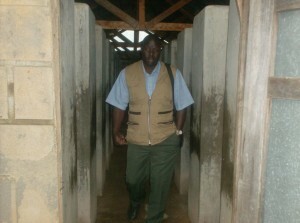 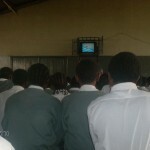 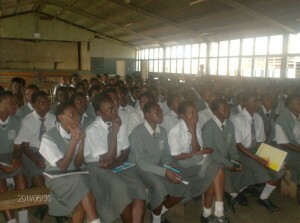 The water will also help the school maintain a farm to feed the students and to support dairy cows as well. 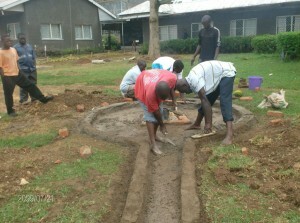 It will be a great step forward for the entire community here. The Deputy Principal gave a vote of thanks to Bridge Water and said the water source will impact on time for studies, will improve the mean grade Hygiene and sanitation and the entire Health of the school. 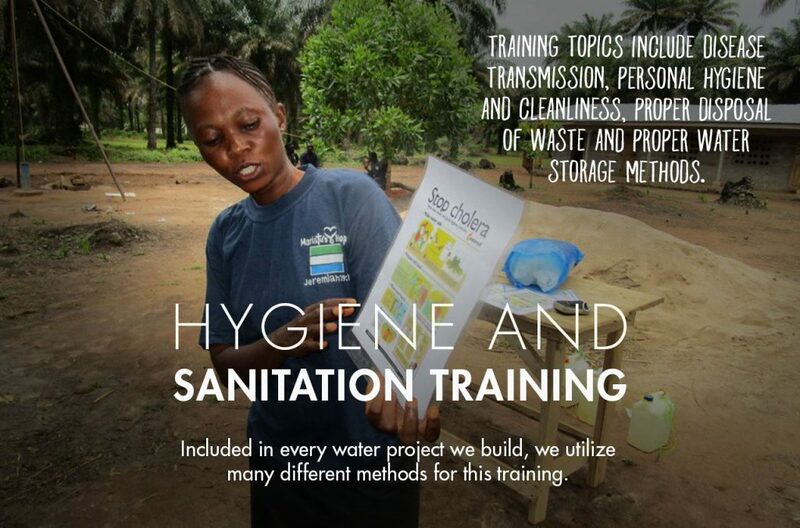 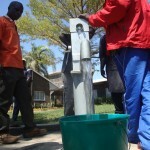 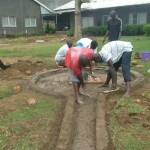 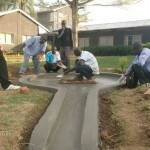 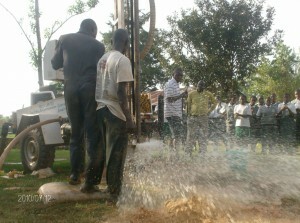 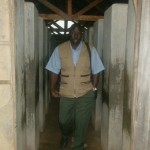 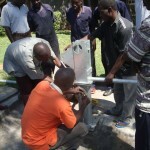 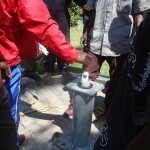 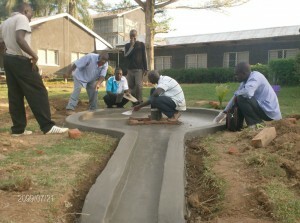 7/14/2010 – Sanitation and Hygiene Training has Begun – Pictures added. 7/14/2010 – Drilling is Underway – Pictures added.